The Dairy itself is a traditional stone building with walls over 2ft thick and large slate flagstone floors. It has recently been converted to a high standard sleeping up to 10 guests. Two large doubles and one twin room, a discrete sofa bed is also available for use in the master bedroom. There is a large fully equipped farmhouse kitchen with open plan dining room . A stunning lounge with large leather vintage chesterfield sofas and cosy wood burning stove (0ne of the Chesterfields converts to a sofa bed if required). Two luxury bathrooms including the master bedroom ensuite and a separate downstairs toilet make it perfect for families and groups. 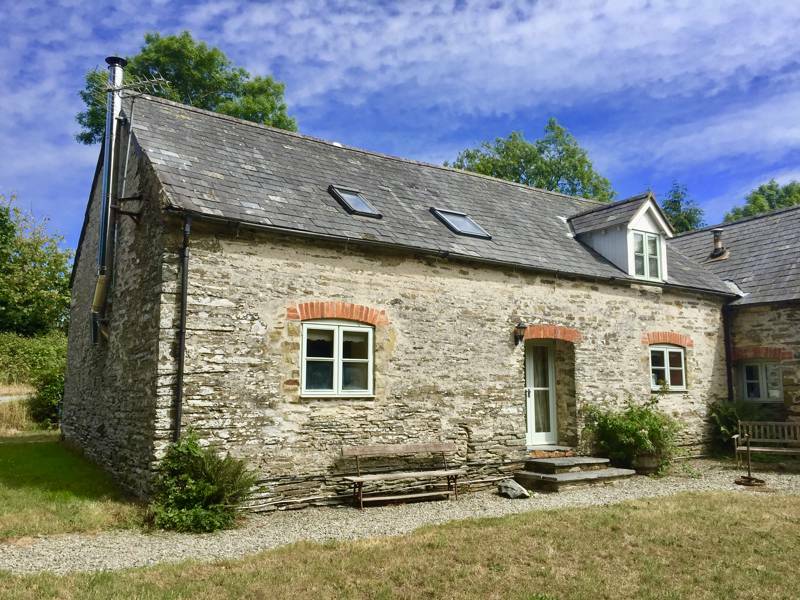 The Dairy has a large private secluded garden but also has French doors opening from the lounge onto a sunny open garden area leading to the woods and streams beyond.